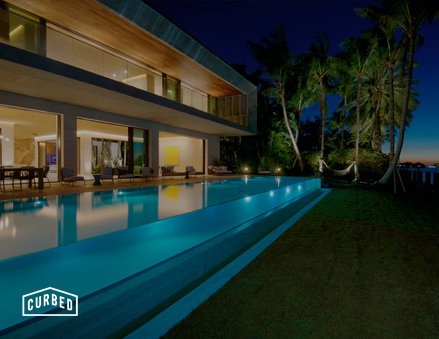 A modern home set to become a Miami property landmark, 252 Bal Bay Dr was completed in 2016 and designed by award-winning architect Chad Oppenheimer to offer seamless indoor-outdoor living. With Miami's abundance of luxury residential developments and proximity to both the bay and ocean, it's no revelation to see so many active homes for sale with jaw-dropping price tags. Miami has been synonymous with modernism ever since architects like Morris Lapidus and L. Murray Dixon descended upon South Beach during the art deco era. Current-day Miami is home to numerous equally talented architects, including a handful—such as Bernardo Fort-Brescia, Kobi Karp and Rene Gonzalez—whom the Magic City can proudly call homegrown. Yet, as this stunning property suggests, few have a flair for blending modernism with monumentalism quite like Chad Oppenheim. Set in the exclusive estates section of Bal Harbour, 252 Bal Bay Drive is a new-build, eight-bedroom waterfront estate sprawling over 14,000 square feet. 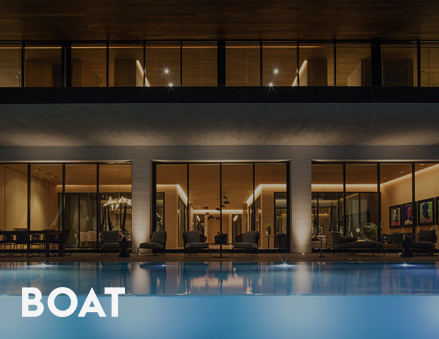 Along with a private dock and translucent infinity-edge pool, the home comes with a pair of indoor tropical gardens, as well as a second-floor art gallery, all for a purchase price of $36 million.